Almost a year after it was unveiled at CES 2015, ASUS ZenFone Zoom is finally here. The camera-focused smartphone is the first from its maker to come with 3X optical zoom. It packs a massive Full HD display, powerful cameras, generous storage, ample RAM and speedy processors. 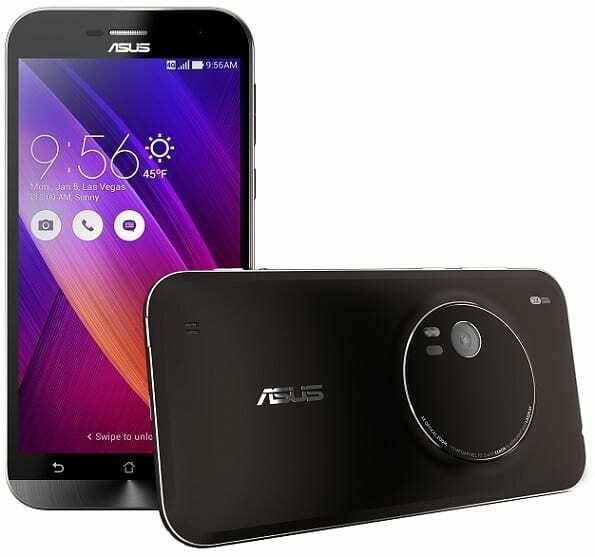 ASUS ZenFone Zoom crams in a large 5.5-inch display with Full HD resolution of 1920 x 1080 pixels. With a very high pixel density of around 401 pixels per inch, the screen promises superb viewing experience. It is protected by tough Corning Gorilla Glass 4. But the main selling point of the phablet has to be its main camera. It packs a robust 13-megapixel rear-facing camera featuring a 10-element Hoya lens setup and amazing 3X optical zoom capability, which is what must have informed its choice of name. You also get dual LED flash, laser autofocus and optical image stabilisation (OIS) for jaw-dropping images. There is also a 5-megapixel front-facing sensor for high quality selfies and video calling. In terms of hardware, ASUS ZenFone Zoom comes in two variants. A model is equipped with a quad-core Intel Atom Z3580 processor clocked at 2.3 GHz and onboard storage of 64 GB. The second, more-expensive model offers a whopping 128 GB of onboard storage and faster quad-core Intel Atom Z3590 CPU running at a maximum speed of 2.5 GHz. For impressive responsiveness, 4 GB of RAM is provided. There is a microSD card slot for storage expansion. The phablet will run on Android Lollipop operating system, which will probably be upgradeable to the latest Android 6.0 Marshmallow OS. The software will be coated with ASUS’ own ZenUI skin. ASUS ZenFone Zoom will be accompanied by a large 3000mAh battery, which looks like one to get the device running for many hours. There is 4G LTE (Cat. 4) connectivity for blazing-fast mobile data speeds. MicroUSB 2.0, Bluetooth 4.0, NFC and Wi-Fi 802.11 a/b/g/n/ac are also available for your connectivity needs. ASUS Zenfone Zoom is not available in Nigeria. ASUS does not currently offer phones in Nigeria so the availability of this phone in the country is in doubt. If and when available, ASUS Zenfone Zoom Price in Nigeria is expected at around N75,000 to N115,000.